It appeared in the summer and it’s continuing to top the trends this winter. The all denim look is back and that means denim shirts, denim jeans and even denim shoes, all topped off with a trendy denim jacket. It may sound like denim overkill but this season it’s right on trend. Jeans have been a wardrobe staple for many men for many years because of their easy-to-wear style, as well as comfort, durability and convenience. So it makes sense to build upon this favorite casual trend and branch out into other denim pieces. But even more exciting is the fact that any of these individual denim pieces can be worn on their own with other styles, giving you a trendy way to update classic pieces. For example, an on-trend denim shirt will look stylish with a pair of beige or even dark colored chinos. A comfy pair of denim shoes are also ideal for wearing with other outfits, including your favorite chinos, giving you a fashionable new look that’s comfortable and easy to wear. First of all, it’s jeans – what’s not to love. They’re comfy, casual and are a go-to piece for lots of men around the world. Secondly, jeans can go with a variety of looks, from casual to smart, depending on the style. Add in your other denim pieces, such as a shirt, jacket and shoes and you’ve got yourself that total denim look that can have a elongating effect on your stature, making you appear taller and slimmer if you opt for denims in the same shade. Another advantage is that denim can be worn all year long – it’s not a season-specific trend. It can be worn in both summer and winter. A total denim look wouldn’t be complete without a pair of denim shoes. 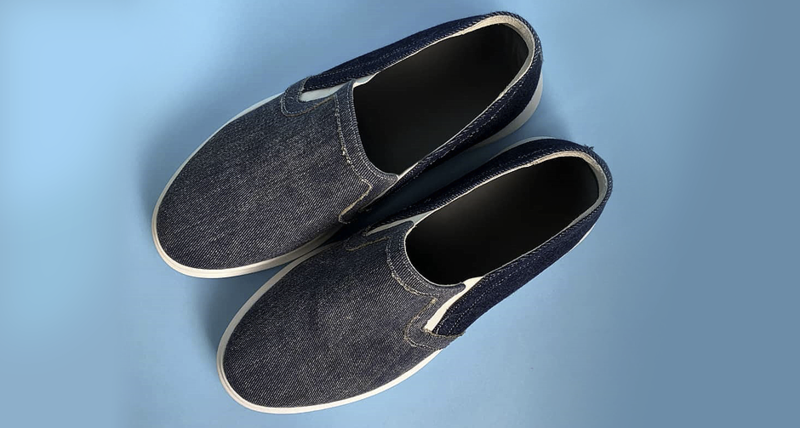 You may already have the denim shirt, the jeans and the denim jacket but the denim shoes can add that finishing touch to your outfit and can be perfect for any casual style. Handcrafted elevator sneakers can give you the luxury leather and trendy denim finishes to keep you looking stylish but, importantly, can also increase your height by a couple of inches. Wear them with a total denim look to stay on trend or mix and match with your classic wardrobe staples to create a unique look that’s tailored to your personal taste and style. A pair of denim sneakers could become your new favorite jeans and go-to casual style.